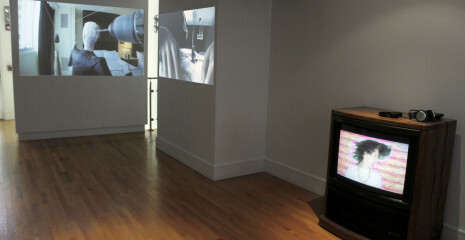 Franklin Street Works, University of Connecticut-Stamford’s Women’s Gender and Sexuality Studies Program, and Sacred Heart University’s Masters of Film and Television Program have collaborated to co-curate “All Byte: Feminist Intersections in Video Art”, an exhibition of video works informed by intersectional feminist approaches. The exhibition will be on view at Franklin Street Works from April 9 – July 10, 2016. Opening reception is Saturday April 9th from 6:00 – 8:00 pm with a member VIP preview from 5:00 – 6:00pm. Michelle Marie Charles, INVASORIX, Kegels for Hegel, Sarah Lasley, Nicole Maloof, Virginia Lee Montgomery, Sunita Prasad, Legacy Russell, and Maryam Tafakory.